Hey everyone! Well, I know I posted months ago that my computer would soon be fixed and I would be up and running in no time. But, my amaaaawzing computer guy kept finding problems with the dear little imac. So, patience was a forced virtue and today was my first day back in the design studio (that is my itty bitty apartment). 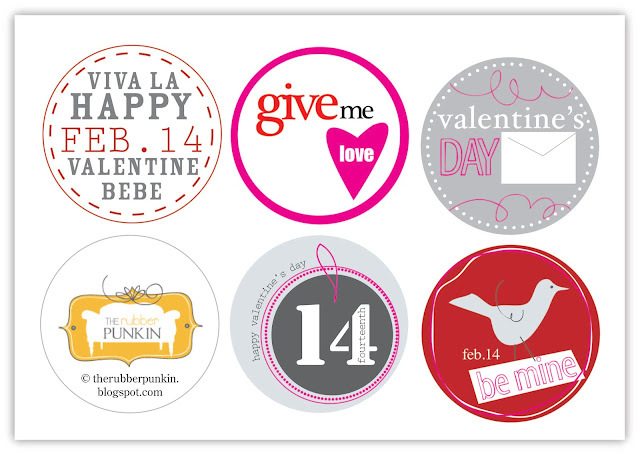 The day of love is fast approaching, so I wanted to gift a sweet little printable to all of you. Consider it a thank you for sticking around despite my absence the past few months. Click here to be redirected to the high resolution PDF version. These are adorable!! Thanks for sharing.. I'm going to send out a tweet on these, too! I've included these in my Valentine round-up today! thanks for sharing your talents! Just saw these on Hi Sugarplum! and plan to print!! Thanks so much!